Are you at a complete standstill with a project you’re trying to finish? Are you procrastinating instead of tackling that to-do list? Has your got up and go done got up and gone? If so, a little inspiration can be a powerful thing. If you need a little help getting up off the couch please keep reading. Still, no one is immune to the occasional sluggishness, and if we are completely honest with ourselves, we all do get a little lazy at times. Sometimes life can be harsh and we need that little something to keep us going. Every one of us have been, or will reach a point in our lives when a kind, motivating word will snap us back out of the lazy mood we find ourselves in. How we got in the bad mood isn't important. Getting out of that mood is very important. Just as the body requires food for nourishment, our mind needs food to remain sharp. This book will provide you with that mind food. It's packed with inspiring stories and the positive guidance you need. It will aid you through tough times, lift your spirits, and remind you that your life is what you make of it. Use these bits of wisdom to help yourself build momentum even when you don’t feel like it, and you’ll come out on top. This 80 page ebook is a huge collection of inspiring short stories, quotes, and words of wisdom that will lift you up and get you moving. It is packed with ‘just what you need’ material. 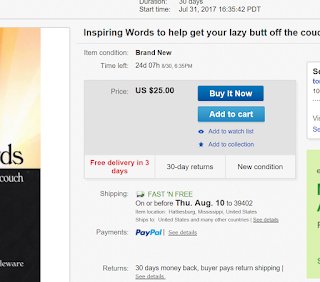 Inspiring Words is perfect for the salesperson, manager, entrepreneur, teacher, speaker, preacher, business owner, the athlete, or anyone else wanting a little help getting to the finish line. 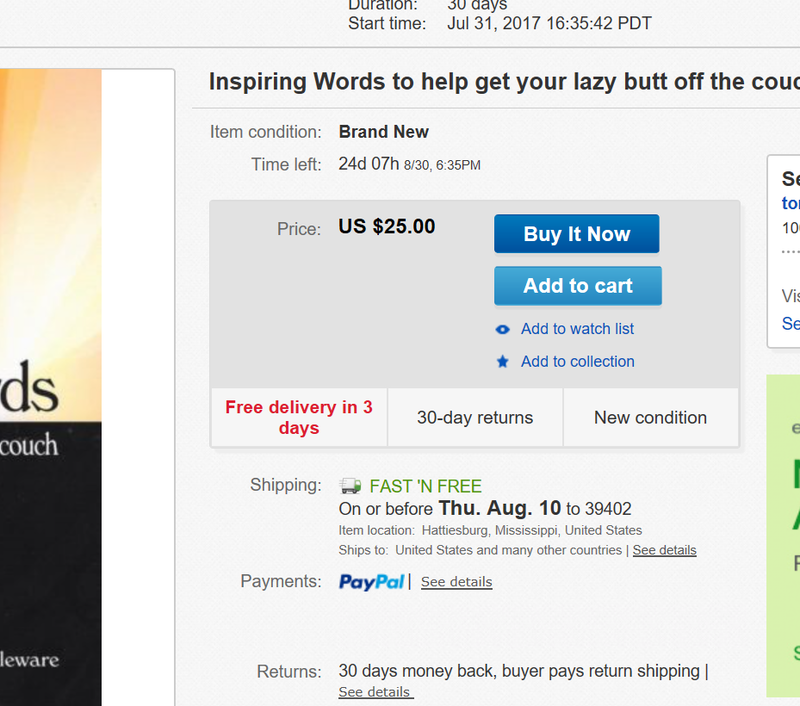 This same book is selling for $25.00 on ebay but you get it here for less than half that price when you buy the ebook direct from this site. The book is delivered in PDF format and is viewable on any computer. All you need is Adobe Reader which is available free and already on most computers.